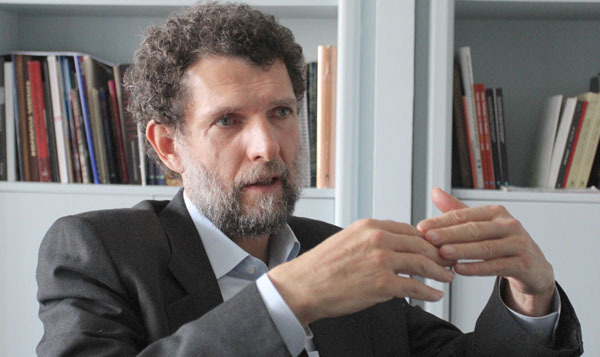 Osman Kavala, one of Turkey’s most prominent businessmen and the chairman of İstanbul-based Anadolu Kültür Association, has been taken into custody by Turkish police upon his arrival to İstanbul’s Atatürk airport late on Wednesday night. According to T24 news portal, Kavala was detained upon his return from a visit to Gaziantep. The businessman was reportedy detained as part of a “confidential” investigation. Several media outlets close and sources close to the Ministry of Interior stated the he will be questioned about some meetings held before a failed coup attempt in Turkey on July 15, 2016. Initial reactions to detention of Kavala came from the European Parliament’s rapporteur for Turkey. In a tweet she posted late on Wednesday night, Kati Piri reacted negatively to the detention. “Very disturbing news that Osman Kavala has been detained in Istanbul. Will propose in EP to launch urgent call for his release!” Piri tweeted.